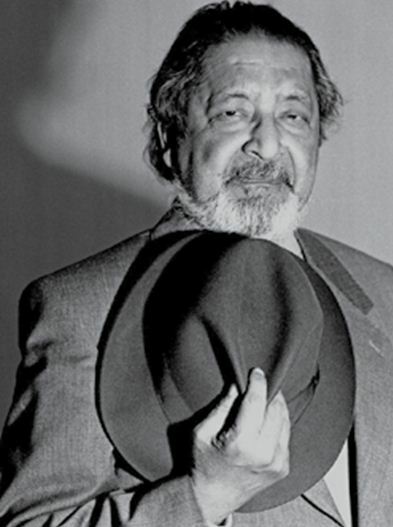 Home Featured V S NAIPAUL – Full or Half Life! Sir VidiadharSurajprasad Naipaul? He was the bright boy, born into the Indian community of Trinidad in 1932, who decided at the age of 11 that he wanted to be a writer. With pencil and paper in hand he left home at 18 for a scholarship place at Oxford, hoping to find some ‘metropolitan material’ along the way. Descendant of migrant labourers, he travelled from early on, and the search for work continued. The outsider never entirely came in. We all know this thing. But the editor of Open Magazine S Prasannarajan, who talks about the experience of the Naipaul – he is amazing. Let’s think of him as a knower. I had not met vsnaipaul before, but he was one writer who compelled me to return—to the worlds buried in that sculpted sparseness, worlds that lay, abandoned and wounded, in the confused histories of decolonised societies, worlds still struggling to recover from the worst vandalisms of civilisations, worlds that, more than anything else, cracked open to reveal a writer’s struggle for perfection. And there I was, one afternoon seventeen years ago in Delhi, dialling his number in Wiltshire, one of the most beautiful parts of the English countryside, for a telephone conversation with him on his first India novel, Half a Life. The legend had it that Naipaul was a writer of dark moods who dismissed the accidental interviewer with a look or a word. I had the shield of distance, and the books mattered to me. So I dared. Half a Life came out after his famous declaration: the novel is dead; the art form of the century is cinema. Naipaul was only the last to mourn the demise. Before him, Milan Kundera despaired over the novel’s retreat from Europe, its original homeland, but he was consoled by the sight of its bloom in the tropics. Some even wondered whether it was Naipaul’s way of admitting that there were no more stories to be told, no more cursed lands to be explored. Or, was it the end of a journey that broke the barriers between truth and imagination, a journey through half-made societies? Or, was it the unforgiving wayfarer’s admission of the worthlessness of the project? Half a Life was not Naipaul at his majestic best, it was a master enjoying the enigma of return after a pause. And this was the story Willie Chandran’s father began to tell. Ittook a long time. The story changed as Willie grew up. Thingswere added, and by the time Willie left India to go to Englandthis was the story he had heard. Willie’s journey will stretch from the nameless Indian town where gods and Somerset come together to shape his past, to England, where he is initiated into the art of seduction and storytelling, to Africa, where he becomes one with lives half lived, setting the stage for a series of departures, a phase of ‘watching without seeing and hearing without listening’. Naipaul would not have been able to write this novel “if I had been writing about India as a series of scenes,” he told me. “The ignorance of day-to-day life would have let me down. The style of the narrative enabled me to write about not only India, but England and Portuguese Africa.” It was India that flagged off his journey, and Half a Life was a kind of comeback, and when I asked him what the trigger was, he would say, in his typical manner of repetitions accentuated by pauses, “Ancestral… ancestral.